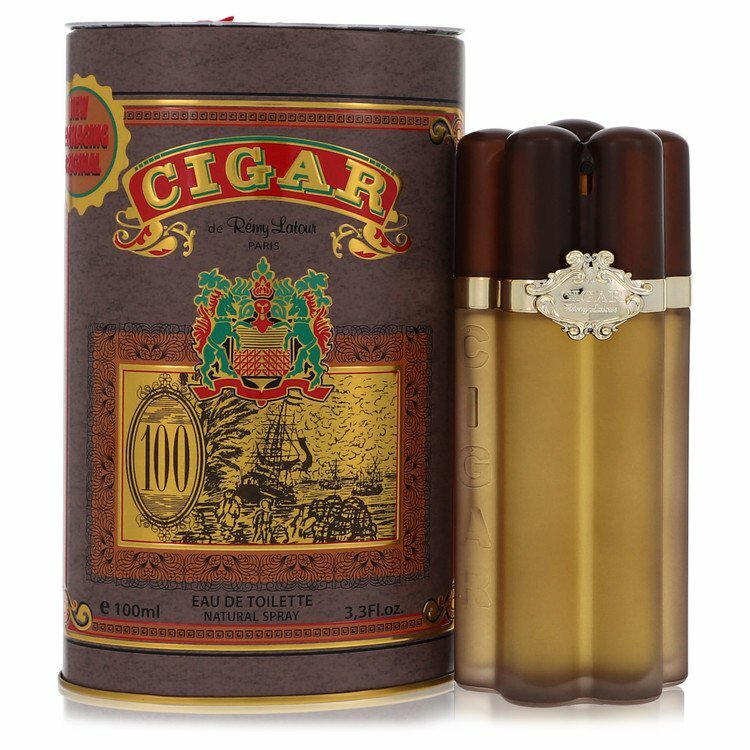 There are 33 reviews of Cigar. I wouldn't say this fragrance reflects a 'Cigar' per say...more like a rich pipe tobacco mixture.A very heavy and dry base of sandalwood,tobacco,and old leather.A dark and yet old-fashioned sweet spice is filtering the base notes through it providing more rustic tones.Hints of patchouli are in this that make it mildly musky but not taking the focus off the tobacco style. For a cheap fragrance Cigar by Remy Latour is excellent stuff.I definitely like this way more than Havana by Aramis because it rings more true in my opinion and really masculine.It's hard to wear daily in the warmer weather because of how dry and thick it is (despite being tasty to my nose)...definitely a fall and winter scent. It’s wonderfully masculine and musky with plenty of old-school lavender and spice. I’m not sure if anyone else will enjoy this while I’m wearing but I like the smell for myself. There’s plenty of things going on here but the dominant note is tobacco. Performance is very good . Strong projection and lasts 6-8 hours. Bang for buck? 10/10. Lots of good reviews here and I´ll have to agree on any one of them. A truly safe blind buy as this juice is very cheap but does its work and then some. Not to sure about the tobacco note, though. Usually when I try new scents I´ll go "oh, this reminds me of this and that". In this case... no. This reminds me of nothing I have tried before. A fresh, no nonsense scent that can´t possibly offend anyone. Sillage and projection slightly sub par. Over all? A truly magnificent scent. Bottle and package caused some domestic smiles as my daughter hates Jacomo de Jacomo and thought this would be something smokey. Wrong. Quite sweet and light. Soapy Tobacco is the best way to describe this one. Nothing mind blowing but I must say that the tobacco note in this one is very good. 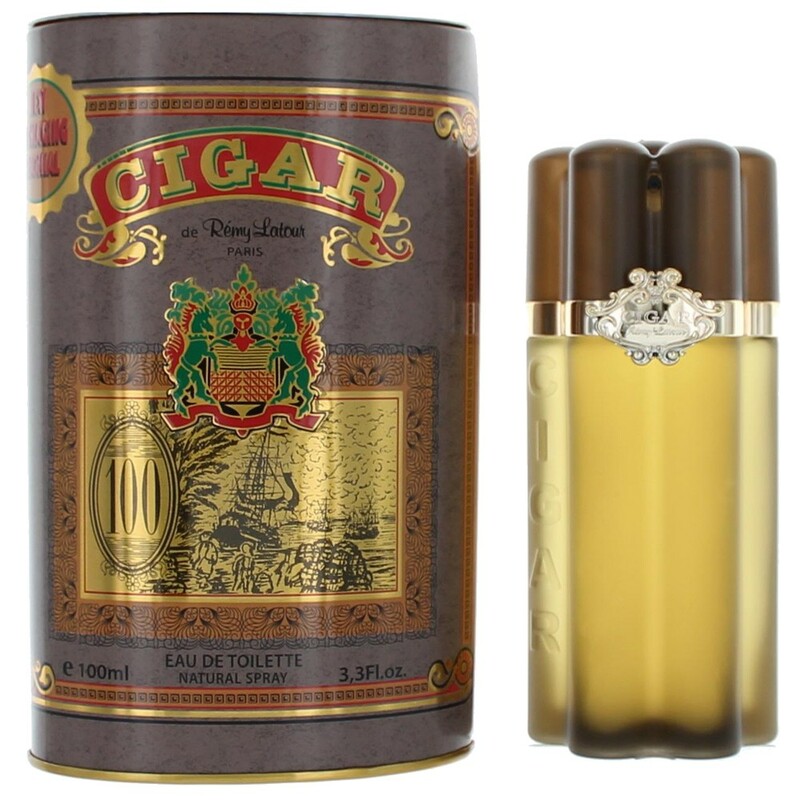 There's an eau de parfum version of this, rare and very hard to come by that goes by the name of 'King Cigar'. The outside metal tin looks the same but the flacon itself is sightly oval shaped and somewhat flat although it's a wee bit cheap in how the glass is made, I have it, it's awesome as compared to the eau de toilette. It's a darker version, significantly different in the sense that it's softer but far more rich and dense, not nearly as screechy but performs strongly with very nice sillage. It seems to focus on the same notes with a deeper tobacco and plum with far more patchouli. Very little aroma chemicals are noticeable. I'm a complete perfume snob and happily wear this, it's a fantastic perfume and a total hidden gem. If you like this version, hunt down the eau de parfum but I'm cautioning you that's its incredibly hard to get. I waited almost 6 months for one to come up on eBay. Do a Google search for photos for Remy Latour King Cigar so you know what it looks like. Bit of a surprise this one. I blind bought it after reading about it on another site, based on an expectation of tobacco, woods and plum, which combination appealed to me. It's nothing like that. It's a fresh, soapy, barbershop type fragrance, predominantly lavender and woods and think I get geranium too. It's also herby and floral. It's not sweet, and tobacco is not the dominant note (although it is there - or is my mind playing tricks?) - the name and packaging is a bit misleading in that respect. In any case I like it. I've been wearing it to the office lately and it's been complimented. Good sillage and longevity. Not what I expected, but pleased with it nonetheless. Remy Latour Cigar Commander Is Similar To Michael For Men 2001?